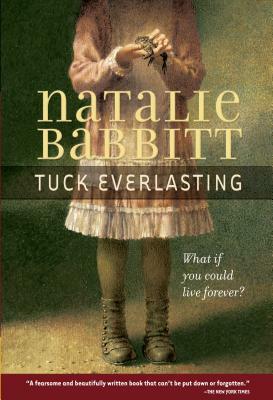 Artist and writer Natalie Babbitt (1932–2016) is the award-winning author of the modern classic Tuck Everlasting and many other brilliantly original books for young people. As the mother of three small children, she began her career in 1966 by illustrating The Forty-Ninth Magician, written by her husband, Samuel Babbitt. She soon tried her own hand at writing, publishing two picture books in verse. Her first novel, The Search for Delicious, was published in 1969 and established her reputation for creating magical tales with profound meaning. Kneeknock Rise earned Babbitt a Newbery Honor in 1971, and she went on to write—and often illustrate—many more picture books, story collections, and novels. She also illustrated the five volumes in the Small Poems series by Valerie Worth. In 2002, Tuck Everlasting was adapted into a major motion picture, and in 2016 a musical version premiered on Broadway. Born and raised in Ohio, Natalie Babbitt lived her adult life in the Northeast.